This oversized patio furniture will rival your most comfortable indoor fixtures with its generously designed frame and plush cushions. The simple yet sophisticated transitional style will complement any décor. The maintenance free aluminum frame is rust and weather proof. You have your choice of a wide array of outdoor fabrics to customize the lush cushions to your taste. 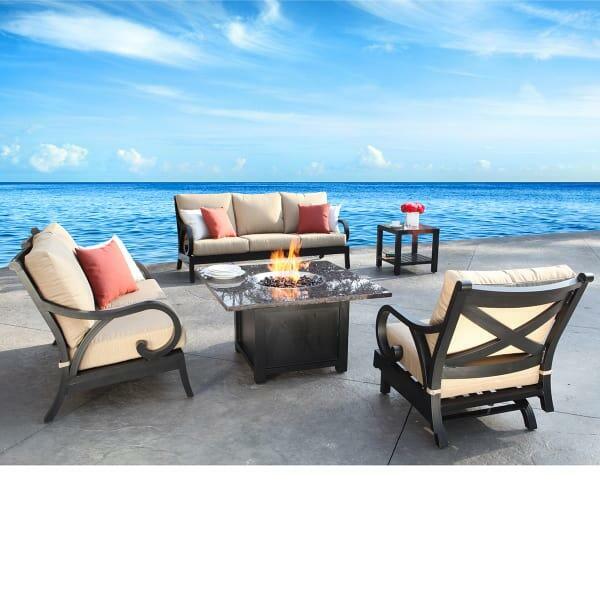 There is no reason to sacrifice luxury or comfort when choosing patio furniture; you can have both with the Milano Cast Aluminum Deep Seating Collection by Cabana Coast.